Indian Creek Braves Varsity stole the lead late in the game in a 9-7 victory over Whiteland Warriors Varsity on Monday. Indian Creek Braves Varsity was down 7-6 in the bottom of the sixth inning when Kasey Wilhoit homered on a 0-1 count, scoring two runs. Indian Creek Braves Varsity earned the victory despite allowing Whiteland Warriors Varsity to score five runs in the third inning. Delanie Gourley, Addison Csikos, Maddy Margraf, and Abby Nacio all contributed in the big inning with RBIs. Indian Creek Braves Varsity knotted the game up at five in the bottom of the fourth inning.Wilhoit’s sac fly scored one run for Indian Creek Braves Varsity. Jacqui Button got the win for Indian Creek Braves Varsity. She lasted two and two-thirds innings, allowing four hits and zero runs while striking out three and walking zero. Delaney Heminger threw two innings in relief out of the bullpen. Gourley took the loss for Whiteland Warriors Varsity. She went two innings, allowing four runs on six hits and walking one. Indian Creek Braves Varsity launched two home runs on the day. Rachel Kyle had a four bagger in the third inning. Wilhoit had a homer in the sixth inning. Indian Creek Braves Varsity collected 15 hits on the day. Kyle, Heminger, Kayla Lemmon, Wilhoit, and Sydney Logsdon each collected multiple hits for Indian Creek Braves Varsity. 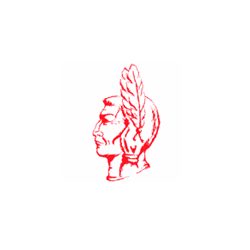 Lemmon, Heminger, and Kyle all had three hits to lead Indian Creek Braves Varsity. Whiteland Warriors Varsity racked up 15 hits in the game. Csikos, Lindsey Boltz, Macy Cornelius, Nacio, and Margraf each had multiple hits for Whiteland Warriors Varsity.